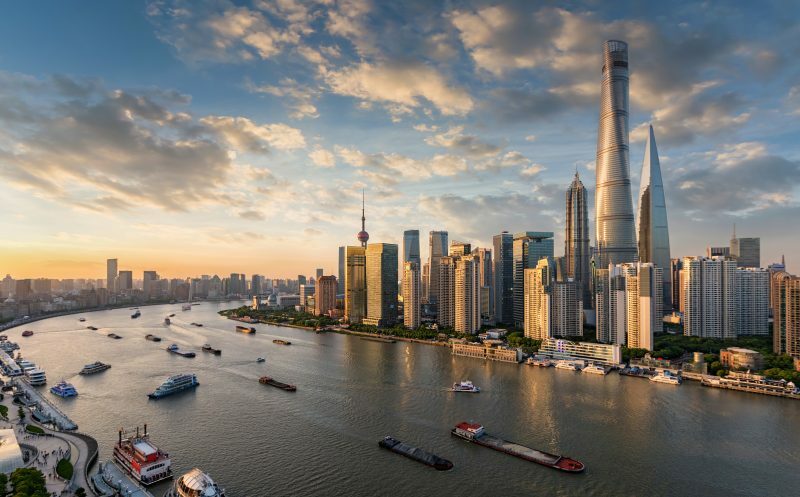 Imatest representatives will visit Shanghai, China, May 15-16, 2019 to offer a free information seminar and a paid two-day training course to professionals using or considering Imatest software to improve their image quality testing processes. The training course on May 15 & 16 offers attendees insight on the full capabilities of Imatest software in both research & development and manufacturing environments. Training starts at 9:00 and will end at 17:00-18:00 depending on questions. Location is TBD. View the detailed training schedule here. May 14 from 13:30 – 18:00. Sponsored by ColorSpace. 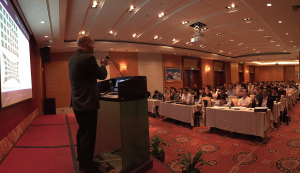 Imatest engineers will visit Seoul, April 17-19, 2019, to offer a free information seminar and a paid two-day training course to professionals using or considering Imatest software to improve their image quality testing processes. The training course on April 18 & 19 offers attendees insight on the full capabilities of Imatest software in both research and development and manufacturing environments. Training starts at 09:00 and will end between 17:00 – 18:00, depending on questions. If you are interested in finding out more about how Imatest software can improve your image quality testing, we encourage you to come to our free information seminar. 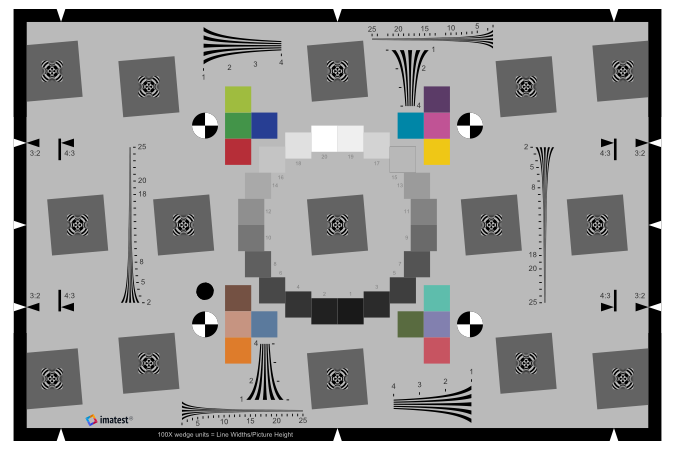 Imatest representatives will host a paid two-day training course at our headquarters in Boulder, Colorado May 8 & 9, 2019 for professionals using or considering Imatest software to improve their image quality testing processes. The training course on May 8 & 9 2019 offers attendees insight on the full capabilities of Imatest software in both research development and manufacturing environments. Training starts at 8:30 am and will end at 5:30 pm, depending on questions. Please contact us about nearby lodging suggestions. Sign up online to reserve your seat. This event has ended. Please see our schedule for future training. 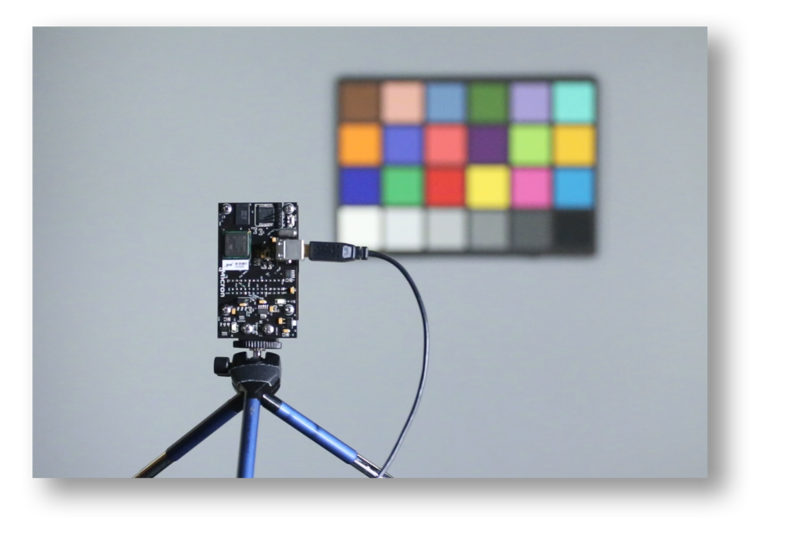 Imatest representatives will visit San Jose August 1-3, 2018 to offer a free information seminar and a paid 2-day Training Course to professionals using or considering Imatest software to improve their image quality testing processes. The Training Course on August 2 & 3, 2018 offers attendees insight on the full capabilities of Imatest software in both research & development and manufacturing environments. Training will run from 9:00 am to 5:30 pm each day, depending on questions. The event will be located in the Larkspur Landing Hotel in Campbell. Visit our training page to view a detailed training schedule. Enroll 2-4 attendees to receive 20% off per attendee. Enroll 5 or more attendees to receive 30% off per attendee. 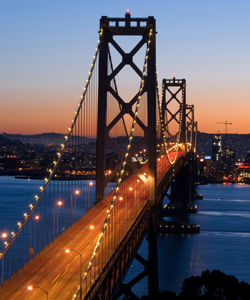 We are pleased to announce that we will return to the IS&T Electronic Imaging conference in 2018, to take place from January 28 – February 1 in Burlingame, CA. The conference will be held at the Hyatt Regency San Francisco Airport and will feature 20 technical conferences covering a variety of electronic imaging topics, ranging “from image sensing to display and hardcopy to machine vision in use in transportation systems” (Electronic Imaging). We will have a booth in the exhibition hall and will be demonstrating our software and test charts. Please contact us to meet with our image quality experts. Additionally, Norman Koren will be presenting his paper, “Measuring the impact of flare lighting on dynamic range” on Monday, January 29, 2018 at 3:30 pm. 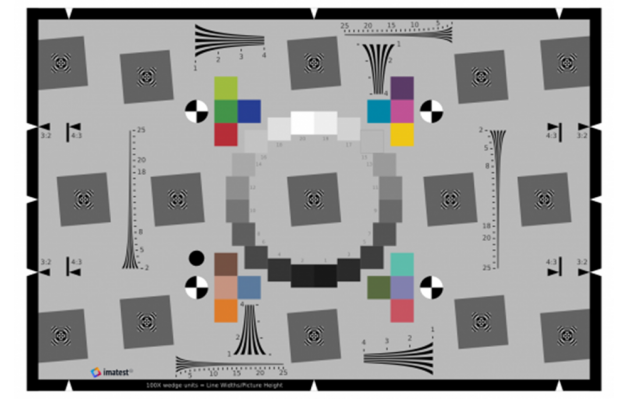 The dynamic range of recent HDR image sensors, defined as the range of exposure between saturation and 0 dB SNR, can be extremely high: 120 dB or more. But the dynamic range of real imaging systems is limited by veiling glare (flare light), arising from reflections inside the lens, and hence rarely approaches this level. Veiling glare measurements, such as ISO 18844, made with black cavities on white fields, result in large numbers that are difficult to relate to dynamic range. Camera dynamic range is typically measured from grayscale charts, where veiling glare depends on the design and layout of the chart, leading to inconsistent results. We discuss the interaction between veiling glare and dynamic range measurements and the need for standardization of test conditions. 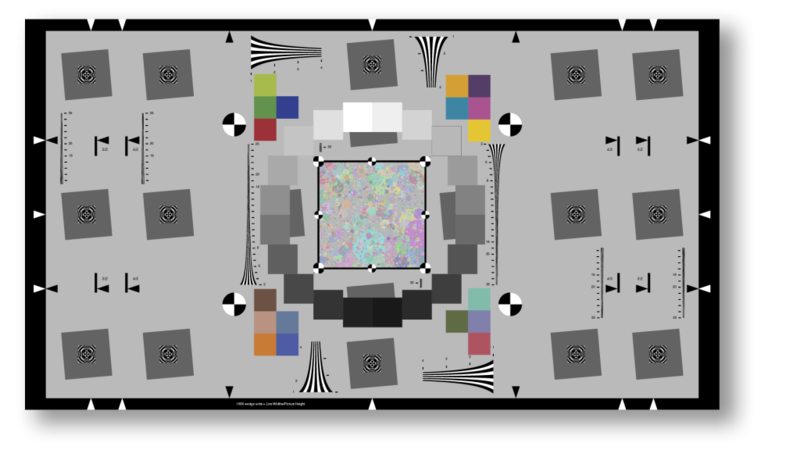 We also propose a new dynamic range definition and a new test chart design for directly measuring the visibility of low contrast features over a wide range of scene brightness, which is important for real-world applications, especially in the automotive and security industries where the visibility of people and obstacles in shadow regions is critical. 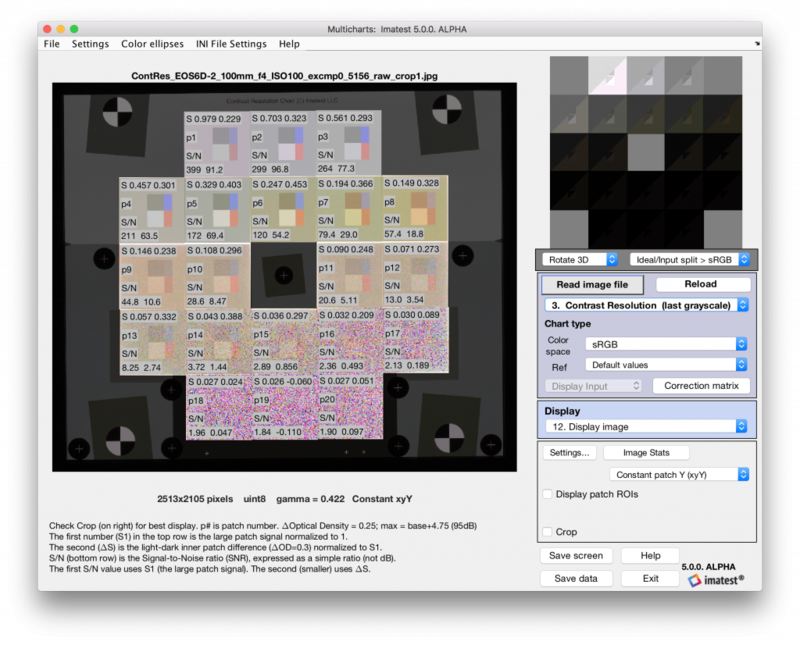 Unlike standard grayscale charts, the new test chart provides meaningful results when tone mapping is applied. 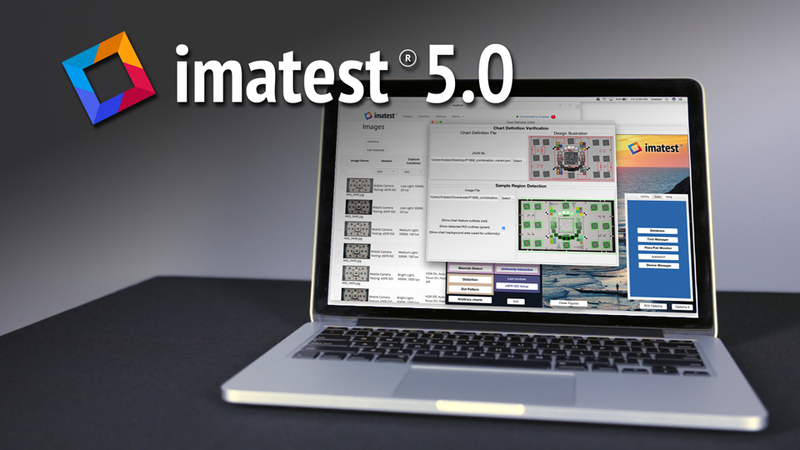 Imatest representatives will visit Cologne, Germany September 24-25, 2018 to offer a paid 2-day Training Course to professionals using or considering Imatest software to improve their image quality testing processes. The training course offers attendees insight on the full capabilities of Imatest software in both research development and manufacturing environments. Training starts at 09:00 and will end at 17:00 – 18:00, depending on questions. This class has limited availability. Please contact us at training@imatest.com if you are interested in attending. Or you may view our current training schedule here. This series of short videos provides an introduction to the Arbitrary Charts module. Learn how to develop Chart Definition Files.